India (MNN) – Christmas may be over, but it’s not too late to give a year-end gift that will forever change someone’s life. He explains four out of five people who believe in Jesus do so because of something that influenced them by the age of 14. 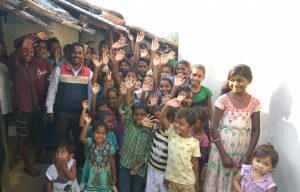 That makes Mission India’s Children’s Bible Clubs in India critical since they reach kids 14 and under with the Gospel. For kids in India, the clock is ticking. 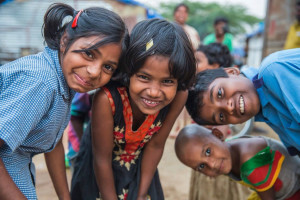 This next year, approximately 22 million Indian children will have their 15th birthday. Every year, more kids and even their families come to Christ because of these Children’s Bible Clubs. “There’s just so much life transformation that takes place. One of the quotes is from Chunia and she said, ‘This is the first time in my life when I felt accepted and truly loved. Although I couldn’t comprehend why God loved me so much, I have decided to follow him.’ And that was just because of a Bible Club entering that village and proclaiming the Good News of Jesus Christ,” says Morsehead. If you’d like to give to the Christmas Joy for India Matching Challenge, you have until December 31st. Click here to donate at Mission India’s website! Morsehead also asks that you take a moment to pray for their Children’s Bible Clubs this next year, that they would be fruitful and that each and every child they minister to would enter a lifelong relationship with Jesus Christ.